The Special Olympics celebrated its 50th anniversary last month in Chicago with a series of events designed to highlight the concept of inclusion. The first Special Olympics events were held in 1968 at Soldier Field, a joint undertaking between the Chicago Park District and Eunice Kennedy Shriver, whose Kennedy Foundation funded the inaugural event. 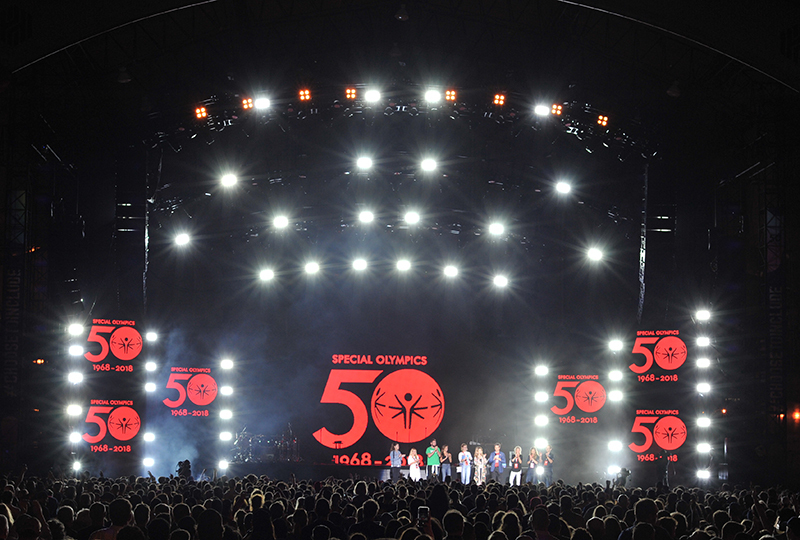 Athletes from some 170 countries participated in the Special Olympics games this year, and the four-day event terminated with a celebration concert Saturday night at Huntington Bank Pavilion, adjacent to Soldier Field on Chicago’s Northerly Island, featuring artists like O.A.R., Smokey Robinson, Jason Mraz, Francis and the Lights, Usher and headliner Chance the Rapper. The event was hailed as a success in bringing awareness to the games, as well as spreading the theme of Inclusion. To celebrate the games, the organizers of the event turned to native Chicagoan Chance the Rapper for some help in spreading the word. Ever since Chance donated his own money to the Chicago Public Schools last year, he’s been a beacon of light in the entertainment world for artists who give back to their community. The 50th anniversary was a momentous milestone for this organization. 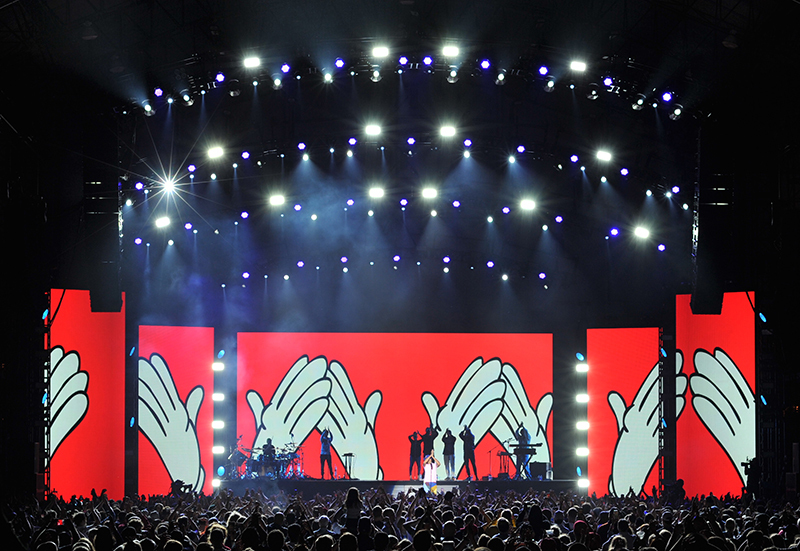 They wanted a special show to commemorate the event and advance awareness, so they contacted Michael Apostolos to see if he would get involved. He was keen to participate, but after consulting with his frequent collaborator Chance, they decided to use this opportunity to officially launch their own production company to produce the event in conjunction with the Special Olympics. So, in May of this year, after months of discussion, Social Function Productions was formulated to deal with this show and future events, as well as others that would bring attention to special needs of communities. Apostolos was a little taken back but eager when this was suggested. 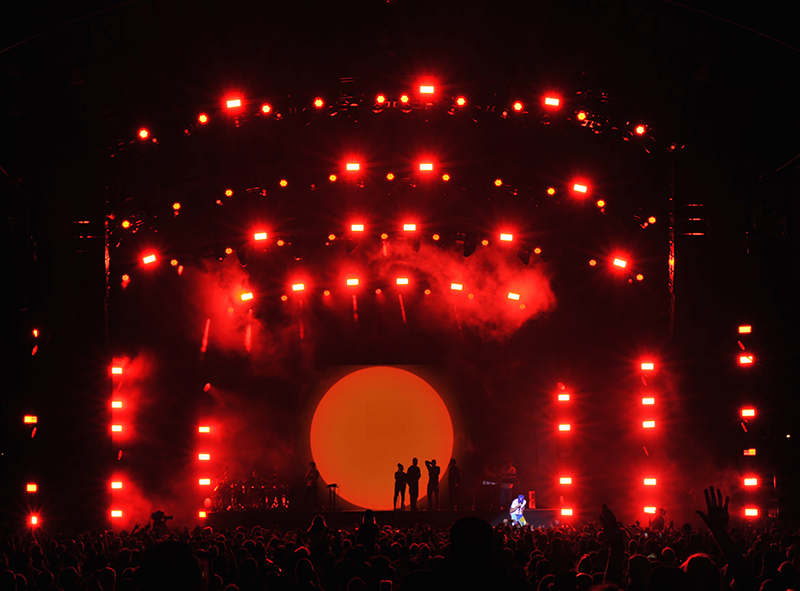 While Michael has earned some respect in the last few years for his design abilities, lighting operation and attention to detail in his productions, organizing a festival is a pretty daunting challenge for anyone. Perhaps more so when you realize he’s only 23 years old, but he’s not afraid. “My whole life, I have been learning, focusing on how to better my craft. Social Function will be another outlet that will allow me to learn even more in what I’m able to accomplish in my career. Michael may not have had all the answers for how to throw an event of this magnitude together, but he was smart enough to enlist the help of some major players to pull it off. Chief among them all was Lee Moro, an account manager for Solotech who is so loved by the Chance organization that they have taken him on as their production manager as well. He proved more beneficial than anyone could ever think when this show rolled up on him. 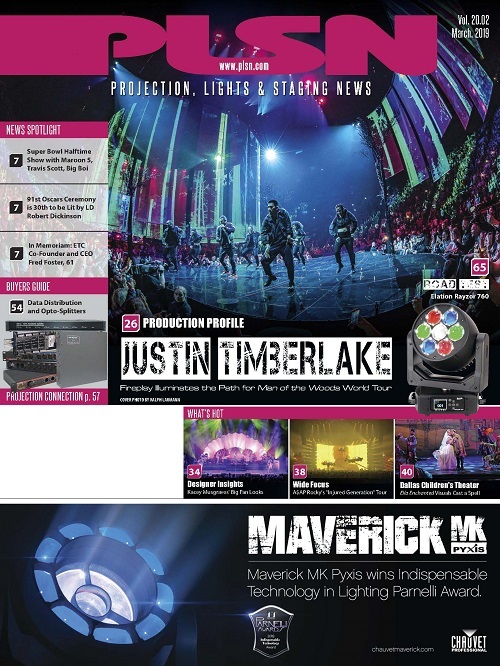 It’s the middle of July, a time when every lighting, audio and video vendor in North America is slammed due to the height of the summer touring season. Somehow, Solotech was able to pull this gear out of thin air, all of it. 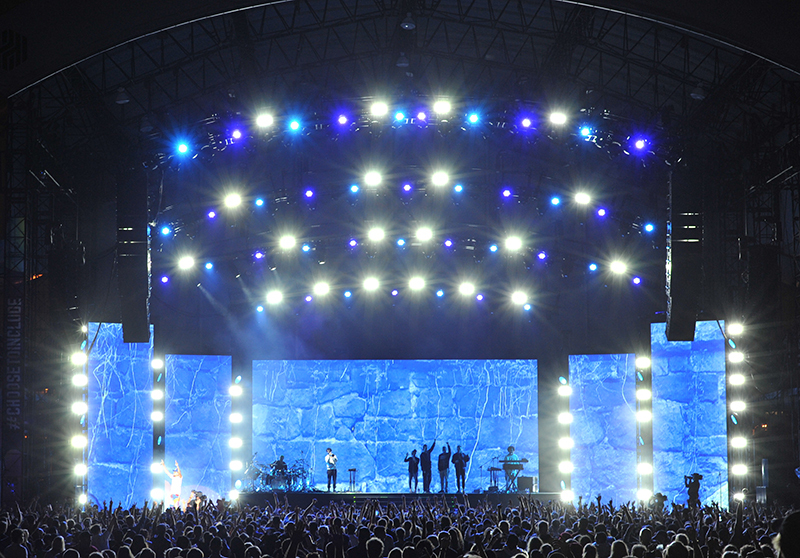 They provided the large video walls, lighting system and audio, completing the trifecta of production elements all by themselves. 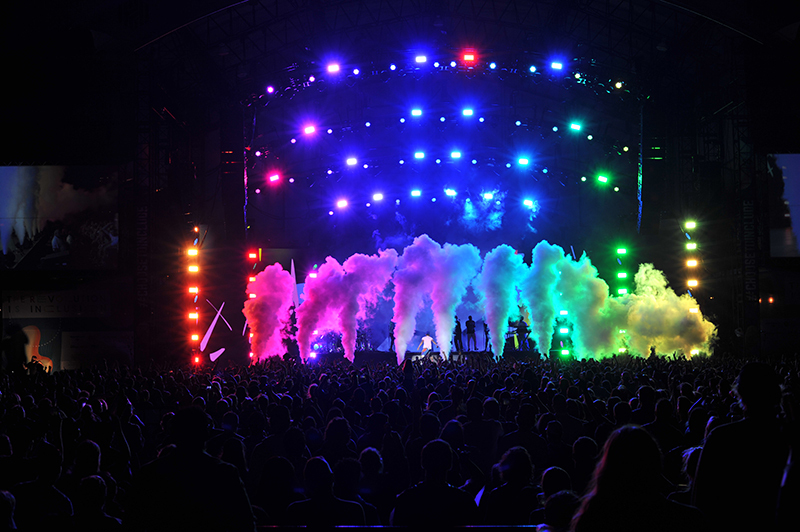 The video gear was sourced fresh out of DeKalb and the lighting was sorted through various other productions, including the Cher residency in Vegas. 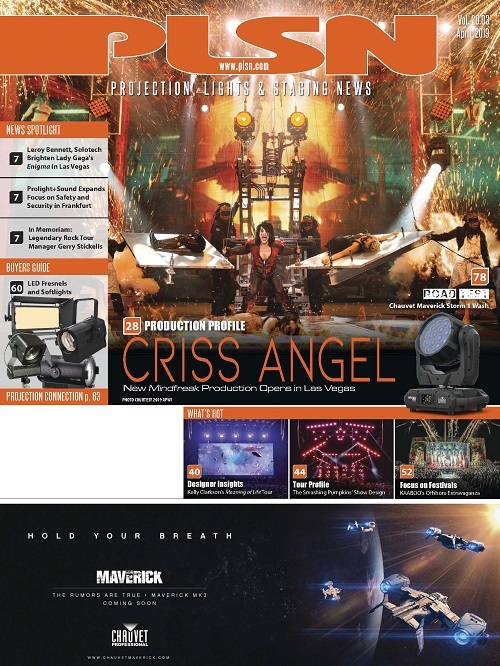 “We had that show loading out for a dark week in Vegas. 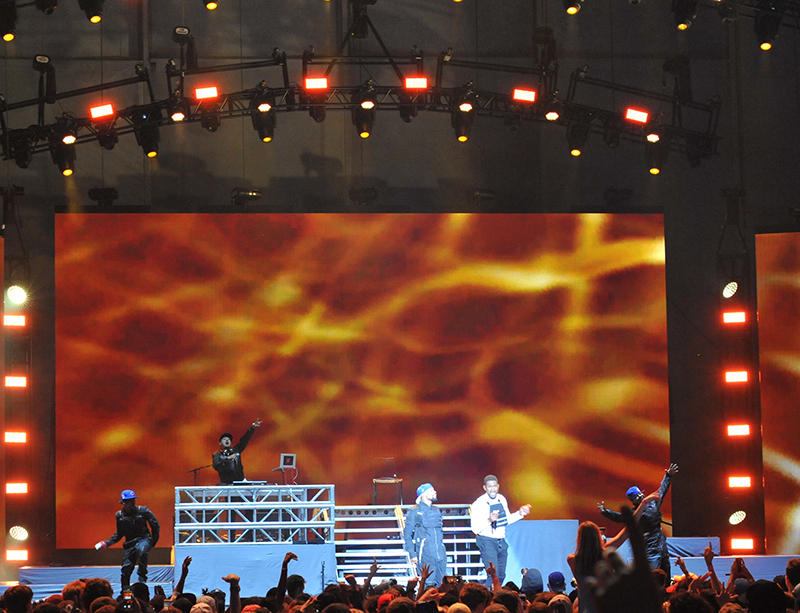 So we had lights palletized and shipped directly to the stage here. Drivers will get the gear back just in time for Cher to prep and load back in. 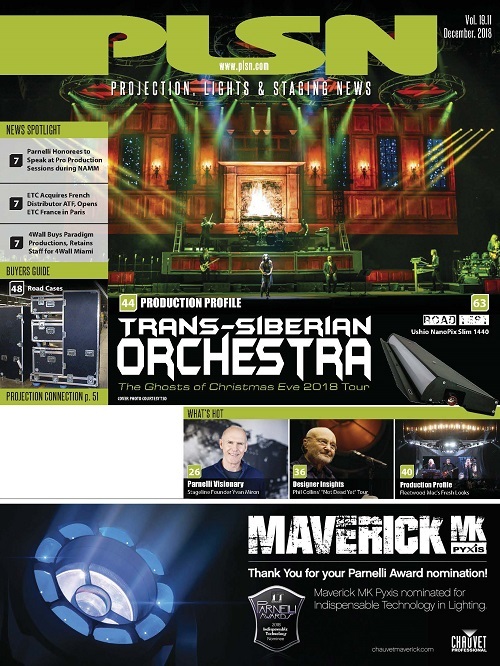 We burned the crew pretty hard this week, and I give them all huge credit.” Solotech loaded the whole production into six packed semis for the show. The only thing they had to sub-rent was the Tyler GT truss. Video wise, Solotech sent down Abe Main, one of their aces in the hole, to crew-chief the video. Apostolos knew he needed some talent to direct the cameras, seeing that the show would be broadcast over the internet. “We called in George Elizondo, a top-name video director. 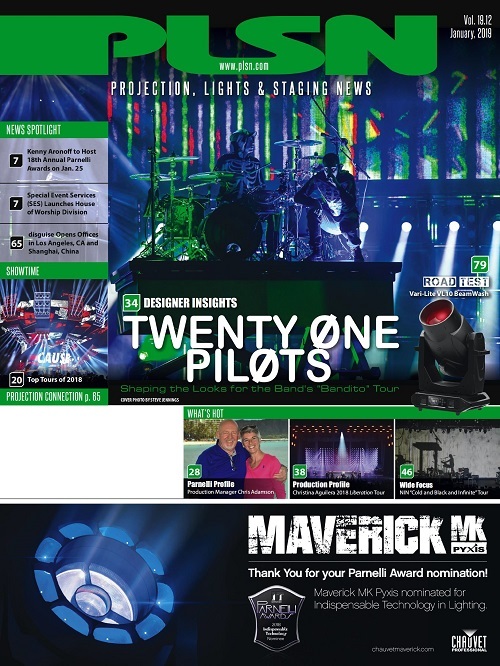 We needed someone that was comfortable with capturing bands he’s never seen live on camera.” Besides the media content played on the five LED walls on stage, I-Mag images were projected on the side screens. In between acts, speakers such as Maria Shriver and sports stars Michael Phelps, Michelle Kwan and Jabari Parker needed to be covered. Apostolos brought his lighting team from the Chance tour down to help set up. 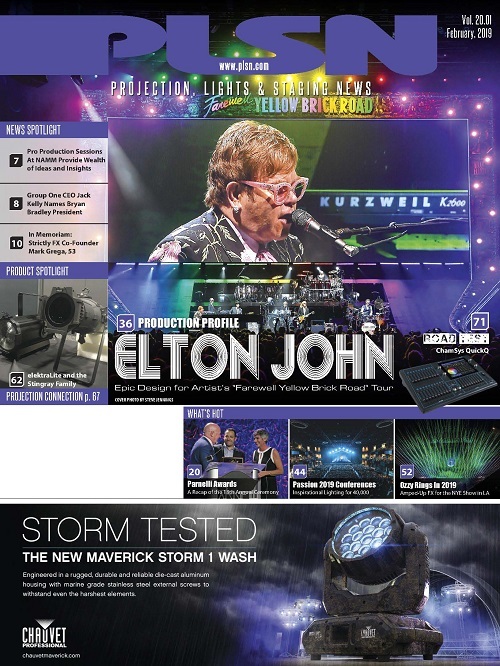 While Michael was dealing with production, Elliot Little dealt with cloning the touring show file into one that Michael could operate for the night. 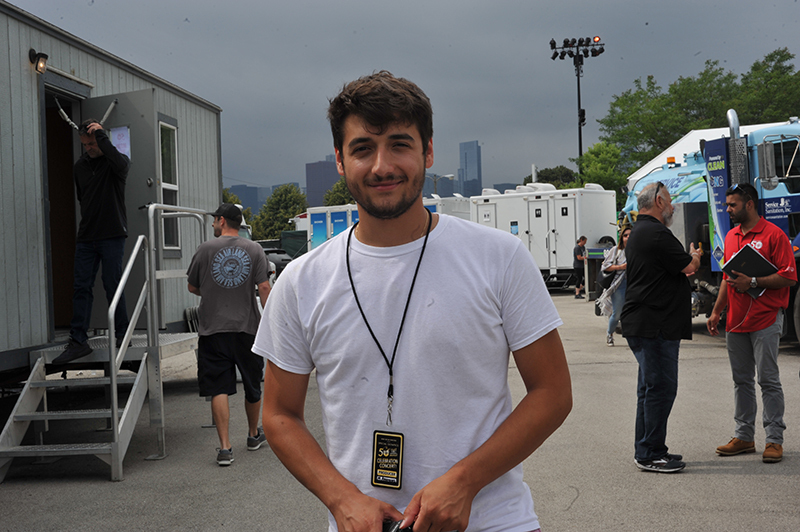 Tyler Ellis, another Chicago programmer was brought in to deal with the other acts and their LDs on site. Usher brought in his guys (Eric Wade on lights, Tyler Roach on video). Lastly, the production designer reached out to Nook Schoenfeld to oversee all the lighting and make sure everyone looked good on camera. Nook gave tips to the programmers, made sure the bands were adequately covered with key light and the cameras looked good. A lot of this production was made possible by many people helping out for the cause and donating discounted services. The Goddess Rocks, the catering company run by the legendary Debi Sharpe, fed 500 people quality, healthy food over the course of the event while donating a percentage of her normal charge. PLSN caught up with her as she watched Jason Mraz rehearsing his 30-minute set with a group of 50 special-needs people on stage. “I’m almost crying, watching. This is why we do this. This is why we work 18 hours a day in the rain. To see these kids having the time of their lives.” So many others helped out, from Strictly FX offering pyro to S.I.R. providing band gear to United Airlines providing airfare. “I’ve been watching this Chance camp and wanting to meet them for a few years,” Weathers says. “I was supposed to be doing a stadium show in Minneapolis this weekend, but this particular gig was special to me, as is the Northerly Island Venue I helped build. The whole camp is nice guys, they just needed a little production help. I insisted on bringing in my A team of IATSE workers for this gig. 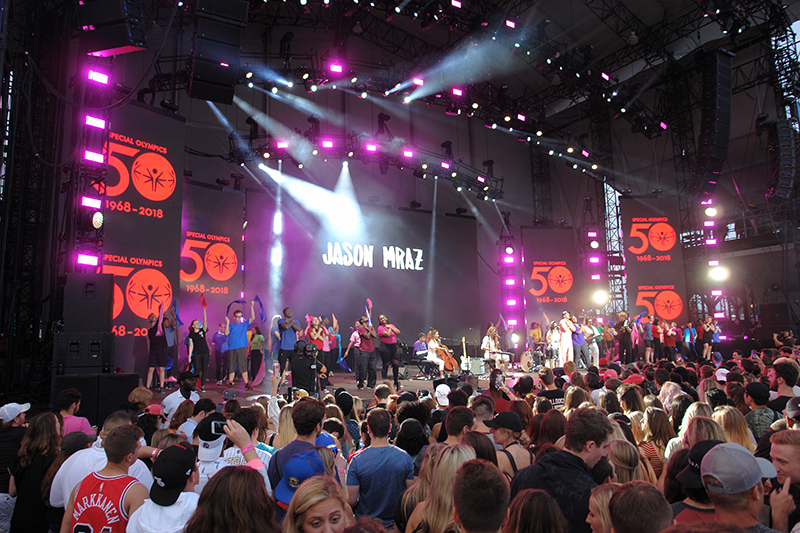 Over 10,000 fans attended the event, including many disabled patrons. The idea that Chicago could have a family show that entertained all ages was amazing when you think about it. Smokey Robinson entertained the parents and 60’s holdovers. Usher had the middle age folks dancing, and Chance just did what he does, entertaining the young fans and making a lot of new ones.